So I’ve been putting off this post for a long time, only because I kept telling myself that I wanted to write this post while I was sitting at my desk at home, where my box of letters are kept. And for some reason, I could never get myself to sit at my desk—something about doing homework there during the school year makes me not want to sit there during break. 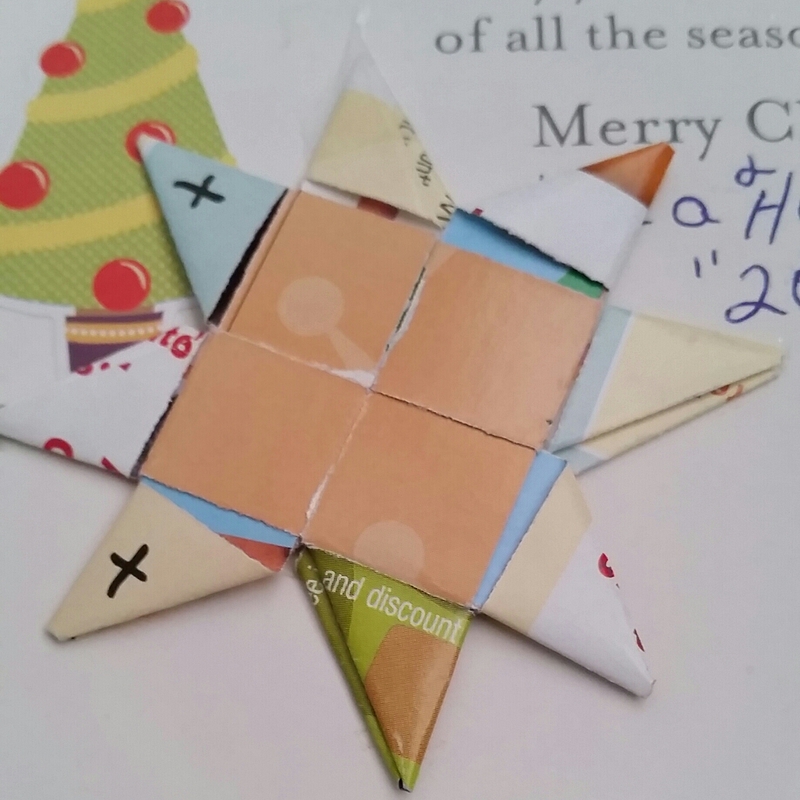 As part of a Swap-Bot Christmas Card exchange, I received a card from Dave in Minnesota. I especially liked the paper star he included in the card. 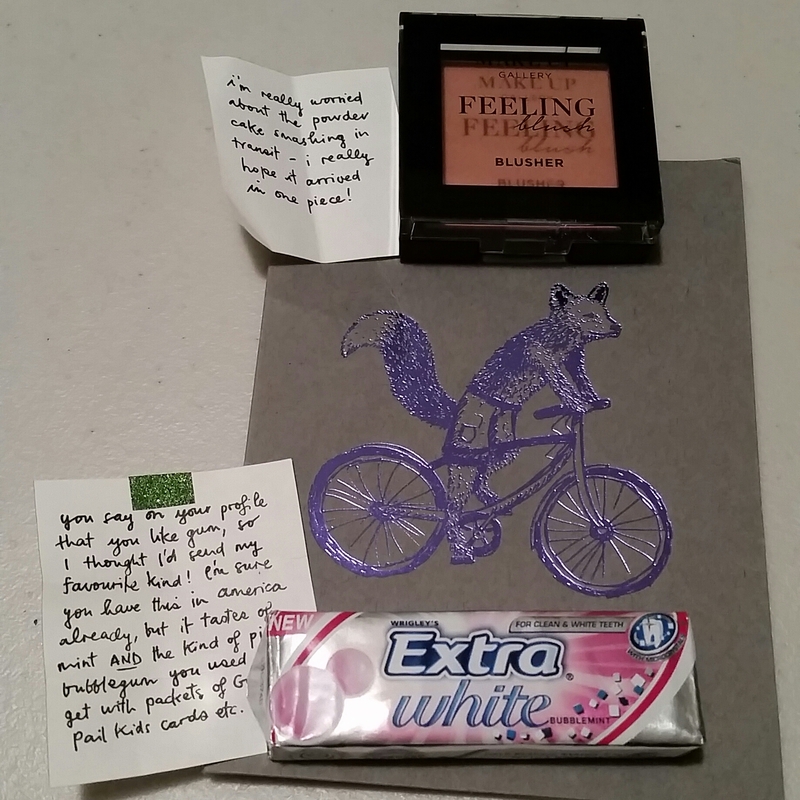 In another Swap-Bot exchange, I received a letter from Jamie in Oregon. This exchange focused on starting the new year with a penpal, and I enjoyed reading about his life. I wrote back a few weeks later, and I hope to be hearing from him! By the way, his handwriting was very unique! 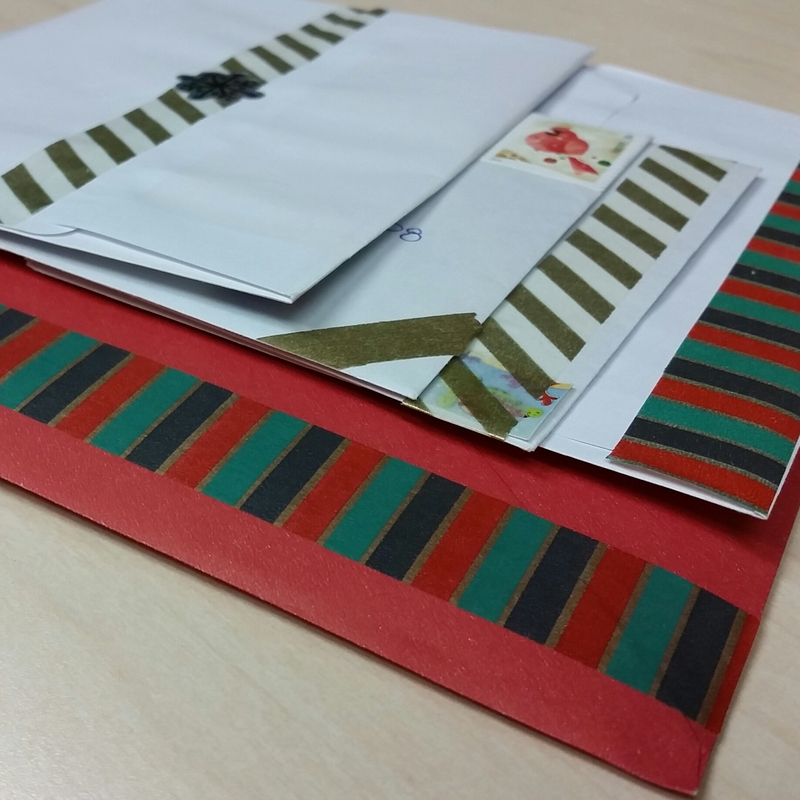 Here are some of the envelopes that I decorated to send Christmas Cards to my friends, as well as new penpals Sophia in Indonesia and Rachel in the UK (connected through Instagram @pen.pals.wanted). 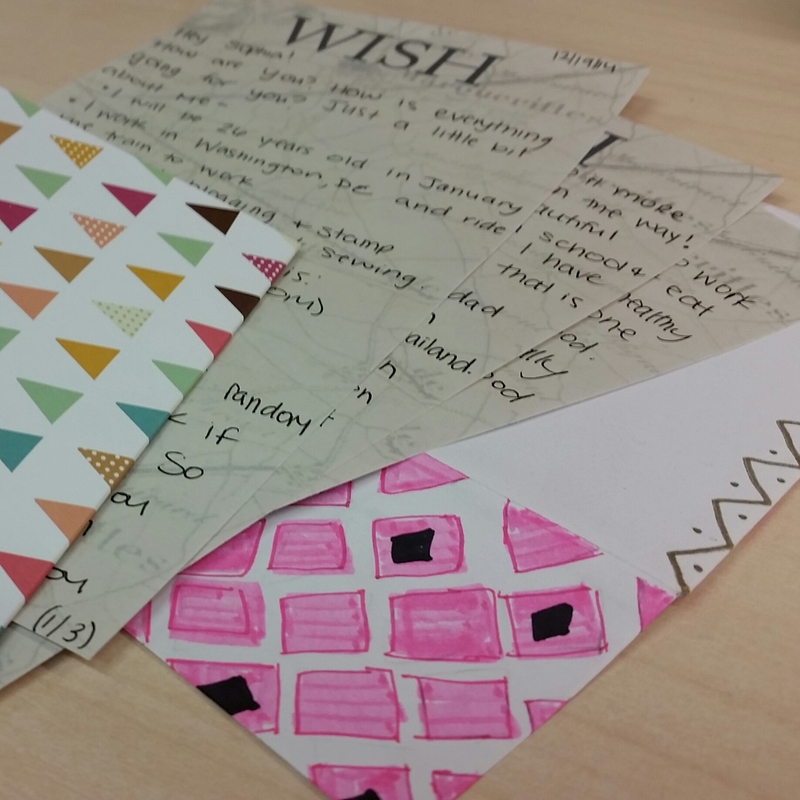 I also sent some New Year’s cards to a few ladies, and received three cards from three different people. Also, I’m honored to be writing to a few soldiers. I love being able to support our troops for all that they do for our country. 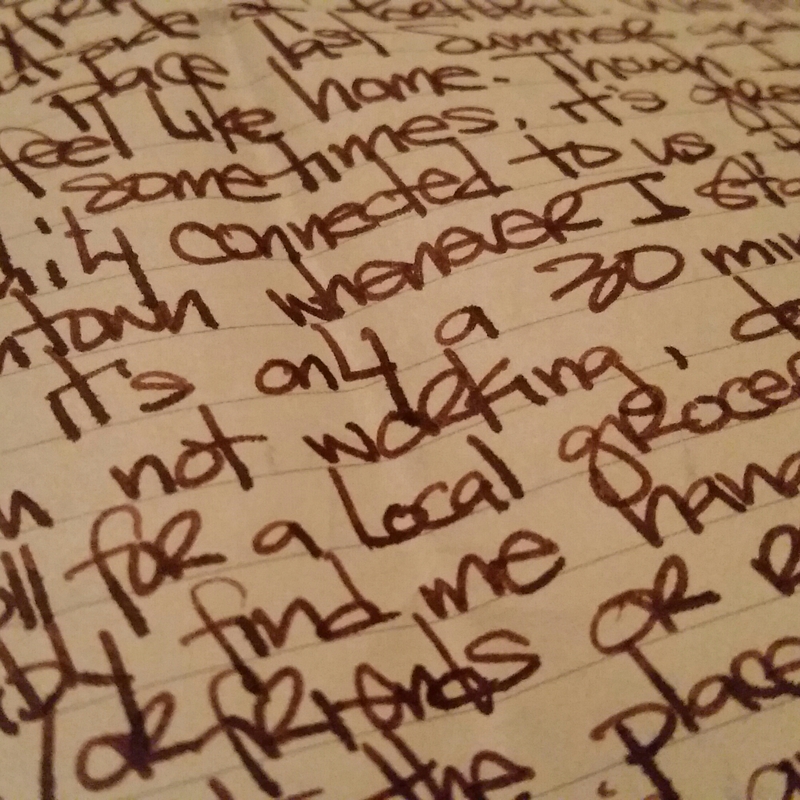 I received a very nice and heartfelt letter from Lori in Canada. She is the first person to connect with me through Post Society. 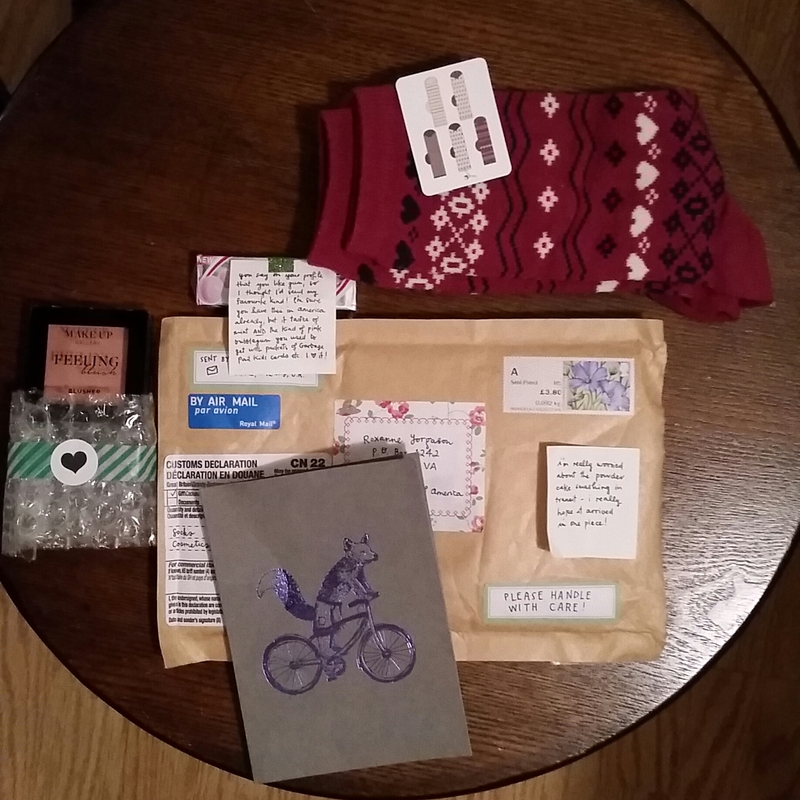 I loved her decorations and small little knick-knacks she sent, along with a postage stamp. 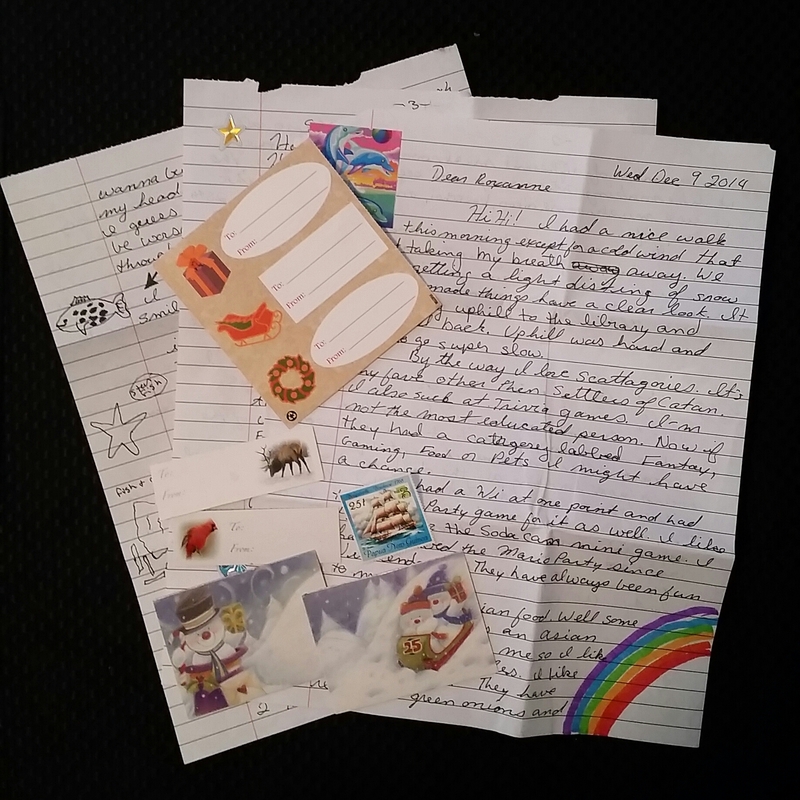 I returned her letter (and forgot to take pictures of what I sent…bad habit!). 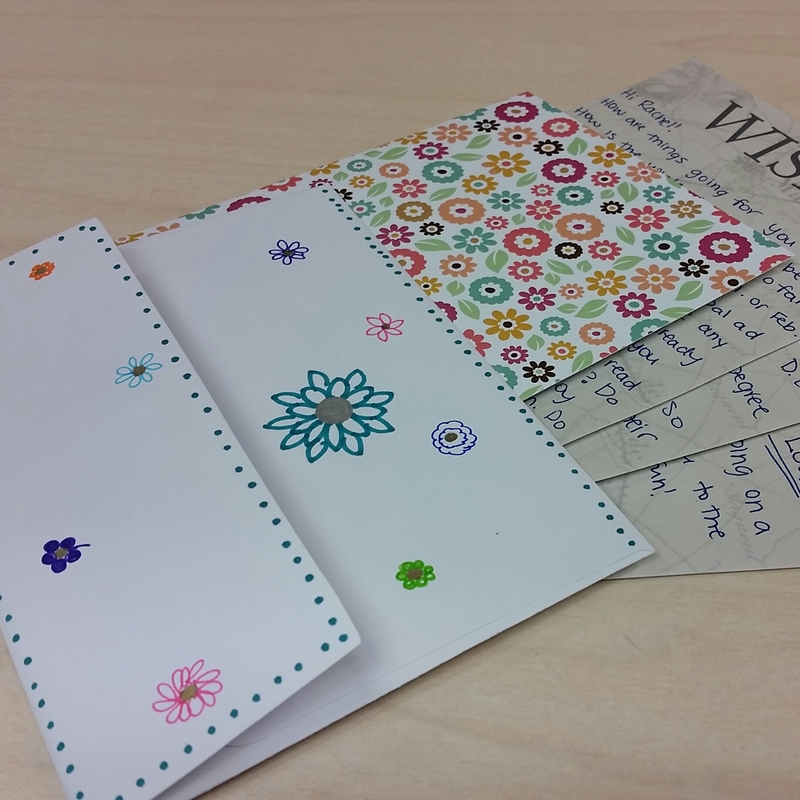 What are your thoughts on snail-mail? 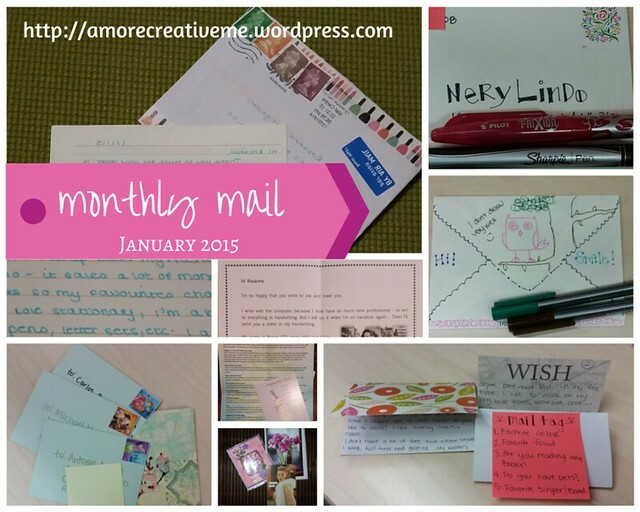 Or perhaps you’d like to be penpals? Submit your info on my contact page and I’ll be sure to send something your way! Tell me a little about you as well!